28’ foot home with side entry is one of our larger homes, includes a main floor separate living room, extensive kitchen cabinetry and counter space. Dual large lofted bedrooms offer plenty of sleeping or lounging space, stair option available. Residential sized bathroom with 48″ shower (60″ shower or tub shower available) includes a large linen cabinet, toilet and sink with base cabinet. 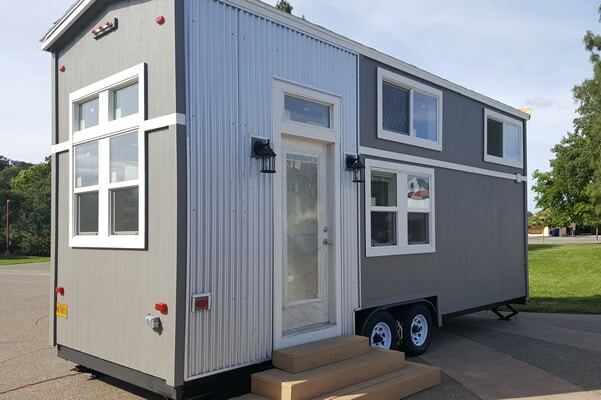 24’ foot home, Side living room/kitchen entry, Master king loft and twin loft, main floor Den/media room/bedroom, residential sized full bath with 48″ shower, toilet, full sized sink with base cabinet and linen cabinet. Large center kitchen with substantial storage easily accepts washer/dryer, apartment sized range and refrigerator. Optional staircase. Optional 25′ version boasts a 9′ Master loft and an 8′ den. 22’ foot home includes a 3′ standard cedar porch with end entry, living room withe standard storage cabinet, 8′ King loft and 3′ storage loft above entry. Over sized kitchen counters. Bathroom with 32″ shower and toilet. Optional staircase, washer/dryer, 4 burner range. 24’ foot home, also available as a 25’. Side living room entry, Super-sized master loft with unique below loft ladder access or optional staircase. Plan includes a cozy living room a center kitchen with snack bar. Accepts washer/dryer combo, apartment size range and refrigerator. Full bathroom with residential sink and 36” shower and storage area. 210 sq ft foot home, Side living room entry. Plan includes a cozy living room a center kitchen with snack bar. Accepts washer/dryer combo, apartment size range and refrigerator. Full bathroom with residential sink and 36” shower and storage area. Electric wall mounted heater as well as being wired and braced for a fan & light with a 3 way switch. 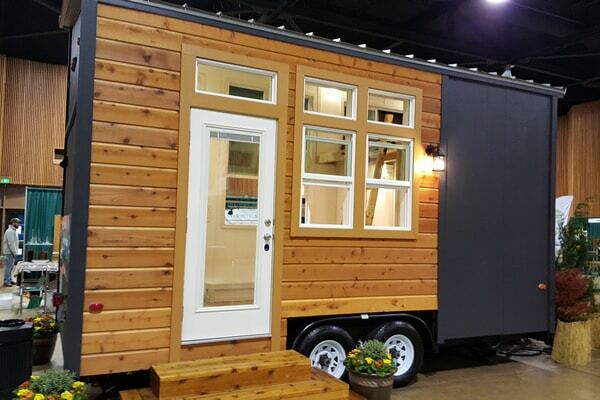 Your Own Tiny House. At A Price You Can Afford. 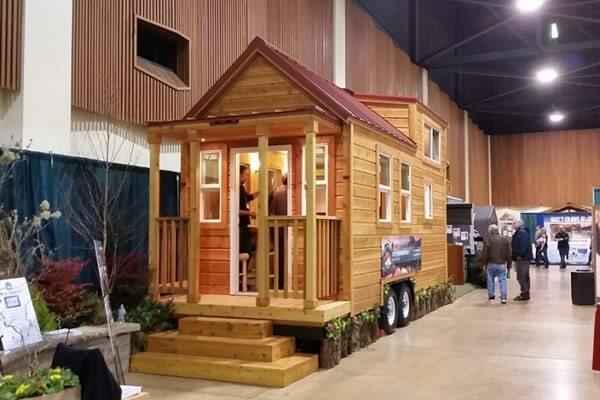 Tiny Pacific Houses is Hawai‘i’s own distributor of Tiny Houses. Our units are available in many attractive styles and sizes. 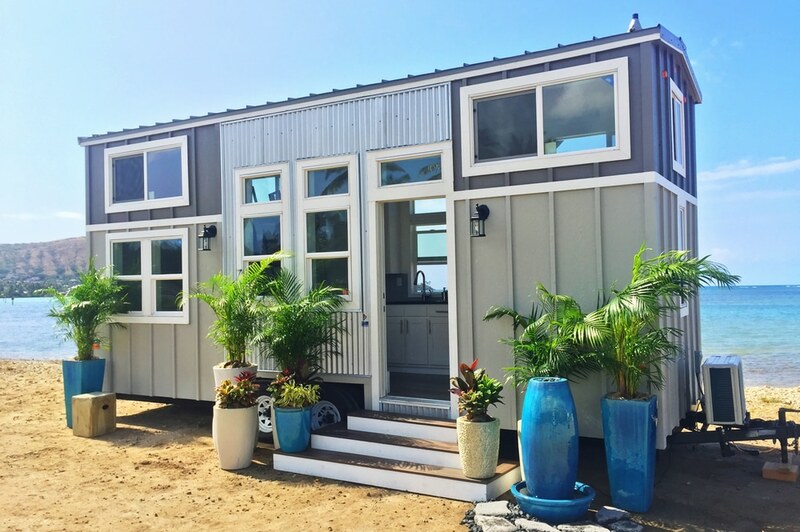 Whether your big tiny dream is to live in a Tiny House or it is to provide an ‘Ohana Unit for family members, Tiny Pacific Houses gives you the access to custom built or off the shelf designs to meet your specific needs. A Tiny Mountain House RV results in many benefits such as less clutter, more free time, and a simpler, less demanding lifestyle. Wouldn’t you rather spend your extra time, money, and resources on the things that matter the most to you? 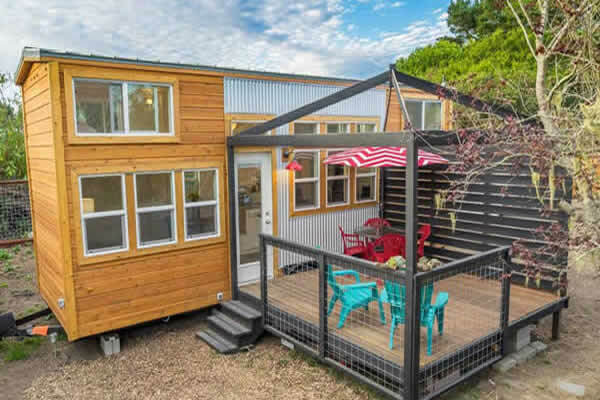 Ask yourself, “how much house do I really need to be happy and enjoy the most freedom in my life” Tiny home living is about having fun and enjoying your life now, tiny home living gives their owners freedom.